When I was living in Scotland, my ear became attuned to the Scottish accent. My first week there, I had no idea what most people were saying, but was good at smiling, nodding and saying “uh-huh” at what I imagined was the appropriate moments. I listened a lot. 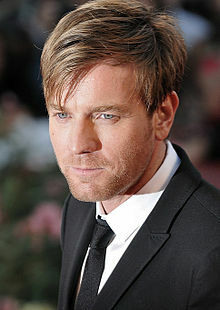 Ewan McGregor has a great Scottish accent. But before long, I had a more clear, ballpark idea of what people were saying, particularly cabbies and it usually involved the weather. Or football. Or America. Or sometimes all three. And the longer I stayed, the more I understood, until I, too, began speaking in my own strange Scottish-ese (which sounded nothing like a Scottish accent). I think I could have used the Speech Accent Archive back in the day, this cool little resource that can deconstruct accents anywhere on the globe. I still adore the Scottish accent, so lilting and lovely, and am always pleased to hear it, however rarely I encounter it these days. Posted on 6, November 2012, in British, Language and tagged accent, British, language, Scottish, speech. Bookmark the permalink. Leave a comment.